Facing a legal issue alone can be an intimidating experience, especially if your future or the future of your family is at stake. At Volman Law, we are dedicated to providing our family law and personal injury clients with personalized, supportive and responsive legal guidance. Whether you need help with divorce and other family law issues or are the victim of a serious injury, we will do everything in our power to help ensure you achieve the best outcome possible under Connecticut law. Throughout the entire process, you can count on us to be honest and straightforward with you regarding your case. We will always tell you the truth; even if it isn’t what you want to hear. New Haven in the U.S. state of Connecticut, is the principal municipality in Greater New Haven. It is located on New Haven Harbor on the northern shore of Long Island Sound in New Haven County, Connecticut, which in turn comprises the outer limits of the New York metropolitan area. It is the second-largest city in Connecticut (after Bridgeport). New Haven was founded in 1638 by English Puritans, and a year later eight streets were laid out in a four-by-four grid, creating what is now commonly known as the “Nine Square Plan” now recognized by the American Institute of Certified Planners as a National Planning Landmark. 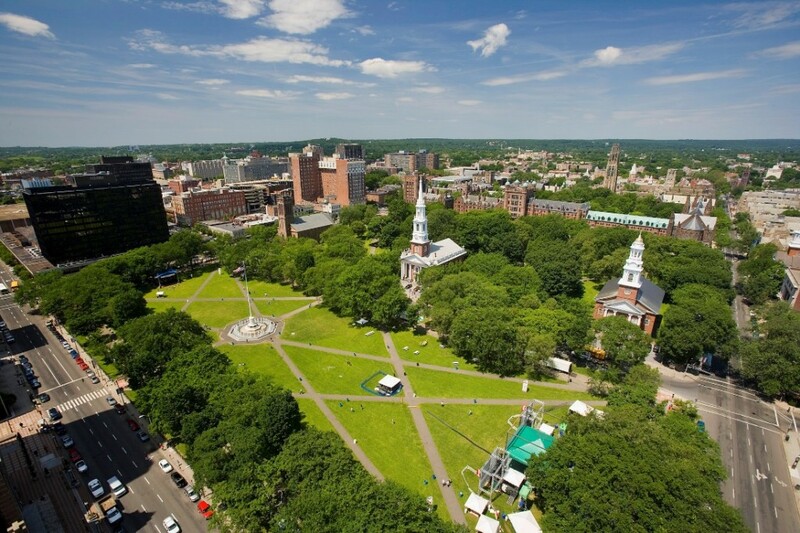 The central common block is New Haven Green, a 16-acre (6 ha) square, now a National Historic Landmark and the center of Downtown New Haven. New Haven is the home of Yale University. The university is an integral part of the city’s economy, being New Haven’s biggest taxpayer and employer. Health care (hospitals and biotechnology), professional services (legal, architectural, marketing, and engineering), financial services, and retail trade also help to form an economic base for the city. The city served as co-capital of Connecticut from 1701 until 1873, when sole governance was transferred to the more centrally located city of Hartford. New Haven has since billed itself as the “Cultural Capital of Connecticut” for its supply of established theaters, museums, and music venues. New Haven had the first public tree planting program in America, producing a canopy of mature trees (including some large elms) that gave New Haven the nickname “The Elm City”.